Matias was born on Nias Island, off the west coast of Sumatra, Indonesia on the 23rd April, 2001. His family are Catholic. He is a victim of the Easter Monday earthquake, 2005, when his home was destroyed. He is the fourth of eight children. His parents are very poor, earning approximately twenty dollars per month on a rubber plantation. He is a shy but happy boy. Matias already has 50% sponsorship. Matias says: "I am Matias Giawa. 1 am 17 years old. I am now in class 10 (UK Year 11). My favourite subjects are History and Sport. 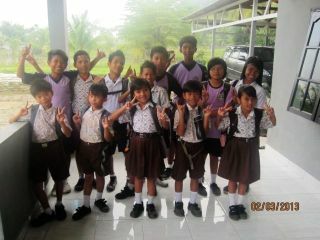 My hobbies are playing musical instruments, playing football, and playing badminton. My dream is to join the army. I love blue and green. My favourite foods are KFC, pork and fried rice. My favourite drinks are Sprite and Pepsi." Deli Tua is located on the outskirts of Medan, Sumatra. Jim & Mena had this purpose built facility constructed in 2012 to house the children they look after. 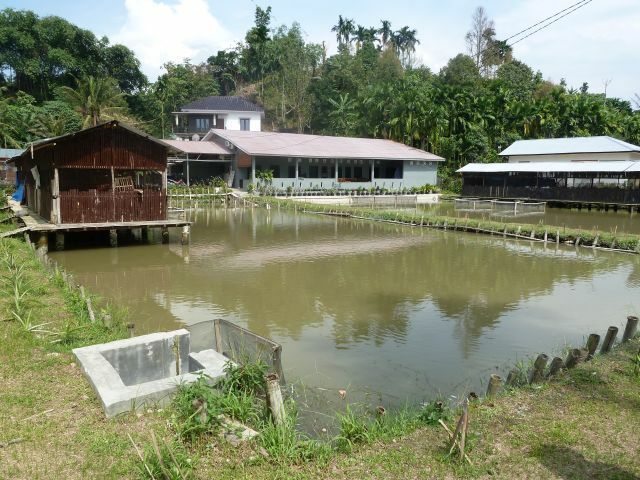 The house has its own fish farm and areas for growing crops, and a plentiful supply of water from the adjoining stream. They have recently acquired some ducks, rabbits, goats and chickens, the aim being to be as self sufficient as possible. At present there are 27 children in this home.